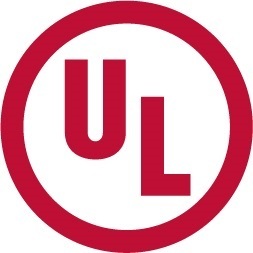 NORTHBROOK, Ill.--(BUSINESS WIRE)--Today, UL, a global safety science organization, officially opened its new Consumer and Retail Services (CRS) Testing Laboratory in Ho Chi Minh City, Vietnam. The state of the art laboratory spans over 1,300 square meters and expands capacity in the region to test toys and premiums, textiles, footwear, accessories and jewelry for compliance with a variety of safety and performance-related requirements. Through a formal agreement with Quatest III, a leading Vietnamese laboratory under the Ministry of Science and Technology, UL is poised as an effective partner to local Vietnamese and multinational manufacturers who seek to deepen and expand their integration into global supply chains. 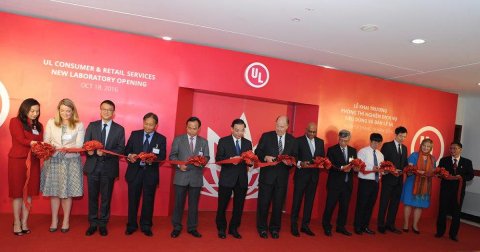 Keith Williams, UL CEO & President, Sajeev Jesudas, President of UL Consumer Business and Weifang Zhou, President of UL Ventures business joined more than 100 government officials, representatives from local industry associations and clients for the grand opening. The new laboratory marks a milestone in UL’s regional business expansion for testing, inspection and audit services, and charts the course for additional collaboration in other significant areas to Vietnam such as furniture. The new laboratory opening follows the recent acquisition of U.S. based Consumer Testing Laboratories (CTL) to further expand UL capacity for consumer testing services. Together with Quatest III, the collaboration enables UL to provide technical training that deepens Vietnam’s scientific excellence and that builds out capacity in such soft skills areas as communications and problem-solving. The new lab is located at Lot C5, Conurbation 2, Cat Lai Industrial Zone, Thanh My Loi Ward, District 2, Ho Chi Minh City, Vietnam.